The heritage buildings and monuments of Hyderabad are well known structures of art during the rule of the Nizams of Hyderabad. 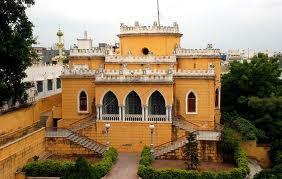 One such great monument is the Asman Garh Palace of Hyderabad. Find out more about the history, features and architecture of the Asman Garh Palace of Hyderabad. 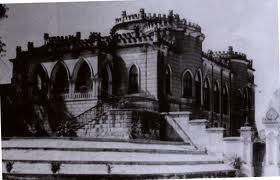 The Prime Minister of ancient Hyderabad state and a Paigah noble by name Asman Jah built the Asman Garh Palace of Hyderabad . This palace is a significant structure among the great monuments of Hyderabad . This palace is named as 'Asman Garh' because it is located on top of a hillock, as Asman Jah wanted to build a palace close to the sky. Asman Jah had visited many European castles and he personally designed is the Asman Garh Palace based on the European architecture styles. Asman Jah built it for the purpose recreation and to spend leisure time. The palace is very beautiful and vast and one can have a glance of the palace from the Hyderabad TV tower on the Malakpet - Dilsukhnagar road. The architectural features of the Asman Garh Palace of Hyderabad are very unique and never seen before and for this factor it was included among the heritage buildings listed for conservation. The Asman Garh Palace is built in a Gothic style where small pillars supporting arches are seen. The palace looks royal by the presence of unique castellated battlements on top of the palace which has a turban shaped entrance. Mir Mahboob Ali Khan, the sixth Nizam of Hyderabad liked this palace very much and to ensure that he never stays away from it, the palace was located strategically close to his hunting place near the present day Saroornagar and its surrounding areas. 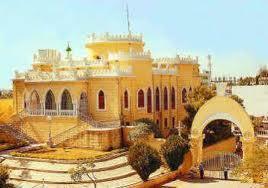 And seeing this Asman Jah gifted the Asman Garh Palace to Mir Mahboob Ali Khan. 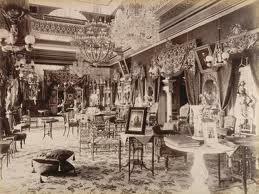 Thus the palace passed on from the Paigahs to the Nizams. Several years hence, the Asman Garh palace was used as the Osmania University campus of Hyderabad and after remaining unused for a long time, the Birlas chose the palace to establish the Birla Archaeological Museum and Research Centre in Hyderabad. The building was then bought by the St. Joseph's Public School, Hyderabad in 2000 where there is branch of the school today with a new four-storied building standing in front of the palace. The school management of St. Joseph's Public School and INTACH have been maintaining the palace very well and as long as it is well maintained the rich history of the monuments of Hyderabad will live on for many more years to come. I have no words to say about Taj Falaknuma Palace , After a tour of the palace, i am ddceied to eat a traditional Hyderabadi meal. I was seated at a table by a window with a gorgeous view dark clouds were gathering in the sky, and it looked like it might finally rain, For a designer or photographer the Taj Falaknuma Palace is Heaven on Earth Everywhere you turn there is a romantic picture to be taken and/or a detail to absorb .It is simply unbelievable,God bless you.